Should your landlord pay for energy efficiency? New plans in the government’s Energy Bill mean landlords could be forced to renovate the least energy-efficient homes. Surely great news for tenants, but will it mean there are fewer rental properties on the market? I used to live in a house with a hole in it. Not a big hole, but big enough that a draught blew through the lounge and meant we had to huddle under blankets or turn our heating up. I’d spoken to my landlady about it, who said it wasn’t worth her money to fix it. Of course it wasn’t – she didn’t have to pay our gas bill! We’ve spoken before about people who turn the heating up to 24 degrees because “all our bills are included in rent!” but what about tenants who pay their own bills? They can turn lights off left, right and centre to save electricity, but can’t do much about draughty or poorly insulated homes without spending money. That’s why I’m delighted that the government is planning to ban people from renting houses that fall into the lowest energy efficiency band. Under measures discussed this week, landlords with houses that fall into the F or G band of energy efficiency will be forced to refurbish them before they can be rented out. We discussed renting recently, and one of the things that most frustrated tenants was the failure of landlords to fix things on time, or at all. If you’re paying £500 per month for a room in a house somewhere, the least you expect is for all the fixtures and fittings to work, and the walls not to fall down. I think this should also apply to energy efficiency measures. ‘The last straw was when we had that awful cold snap. It rained, and wind howled, and we discovered that the reason our bedroom was always cold […] underneath the bedroom window was a hole that ran the width of the window, was an inch high, and led straight outside. It’s possible that some landlords will choose not to renovate their property, especially if the new measures are expensive. But the Green Deal proposals mean that landlords shouldn’t have to pay the upfront costs of energy-saving improvements, as the cost of these will be covered by the savings made on energy bills, no matter who pays them. Do you think landlords being forced to make energy-savings improvements is a good idea? Personally I’m all for it – tenants pay a lot of money for housing, and although you do get what you pay for, there are far too many tenants living in poor conditions due to landlords who don’t want to pay for repairs. Of course any property put up for rental should meet minimum standards, that should be by law. For those familiar with energy ratings I would sugget an upper “D” or lower “C” rating as a minimum requirement before a place can be let. And this would not involve pots of money for the landlord to shell out either. Decent loft insulation, decent windows and perhaps cavity wall where appropriate would easily achieve an upper “D” rating on the vast majority of properties. Most of these things can in the main be done a very reasonable cost with all the grant structures already in place. Ironically the overall cost will probably go up when the “green deal” is in place because that involves a loan which over time must be repaid somehow together with interest. Whereas with a grant and a one off modest payment as now it is done and dusted very quickly, thus maximising future savings on energy cost. There seems no get out for “Listed Buildings” some of which I suspect cannot be adapted to bring them out of the F or G category. So will the National Trust, English Heritage etc no longer be able to rent them out some of these unique buildings ? My house I rent out was built in 1898, the loft is turned and felted, double glazing is fitted, not much else I can do with that is there? A house built in 1898 will almost certainly be solid wall so you couldn’t fill any cavity but internal insulation on outside walls would be possible. The heating system, if very old, could be replaced with a modern more efficient installation. Then there is floor insulation, draught excluders etc.etc. But even without this your 1898 place, probably terraced?, loft insulated and double glazed would very likely meet any minimum standard for efficiency. But you can always improve to the benefit of sale value, rental value and tenant benefit through energy bill reduction). If a landlord has to make changes before they can let a property, they will, but then recoup their losses from future tennants. 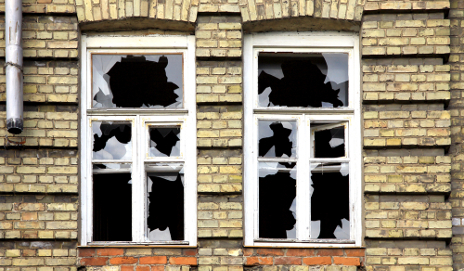 What safeguards are there to stop a landlord adding a bit extra on for more profit? It cannot be prevented as the landlord is the owner, they can charge what they want. The end result, despite all the good intentions, is that rents will increase. This is not good at the best of times, but whilst mortgages are out of reach for many, wages are stagnant and food, fuel, energy costs are rising by more than 3 times the rate of inflation. It’s a vicious circle, the government need to get co2 emissions lowered to avoid european fines, the landlord has to recover at (at least) their losses, businesses in the industry will push their already exagerated prices higher still and the individual tennant is left footing the bill whilst their cost of living stretches them to breaking point. Radical thinking is required, all alternatives/points of view need to be considered as we need to find a way out of this mess and fast! Whilst I agree the cost of improving energy efficiency will have to be paid by someone I think your comment is something of an over reaction. Basic loft and cavity wall insulation can, with the current grant system, be installed for only a few hundred pounds. If the tennant is on a qualifying benefit or over 70 it’s free. Any landlord would be a fool not to take advantage of this and get their property upgraded at low cost or even for free..
As for rent increases for better insulated properties, well if there are any they will be greatly offset by the reduction in the tenant’s heating costs. If no minimum energy efficiency level is set for retal property there will be no incentive to improve things and tenant who might pay lower rent will be stung big time as energy costs continue to spiral (and they will, you wait and see). I’m all in favour of setting a minimum efficency level before property can be let, it will be better for everyone. we rented this house a year ago in april, when winter arrived we realised that every single room was freezing! there is a constant draft from every window of the house…plus we found out that the heating system is the oldest you can get but obviously the landlord did not tell us this when we rented. Now we received the “winter” bill which is £900!!! we have been trying during this year to talk to the lanlord about the heating system and the windows, we had 2 british gas enjeneers who told us that ,even though the heating works, its too old and gave us a “G” rating! the landlord told us that she is sorry but she won’t do anything about it as she has no money..she told us that we can spend £80 pounds max to fix the window and we can buy an electric heater for my baby room. Can we do something? we want to leave! but we have a contract…what can we do?